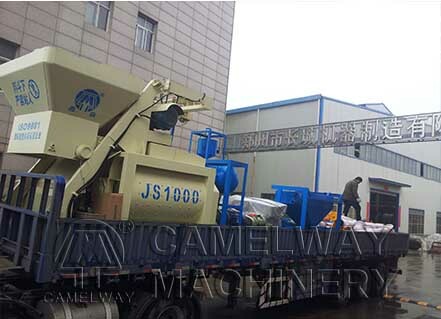 The Double spiral belt concrete mixer is one of our company’s new product. This new design machine has many advantages, such as high mixing efficiency, well mixing evenness, low noise, less power consumption, nice sealing, reasonable structure design, easy maintenance and long working service. The company also provides project consulting services, for example, power station and plant construction or the construction elevators. We will try our best to service for you and build win-win business with you. Welcome to contact us.